Over the years Samsung has released a number of drivers for their mobile phones. The Samsung USB drivers at times have been generic while others had been made for a specific mobile phone in their range. Below you will find the most common USB driver for Samsung listed with their drivers on this website. The driver update this year has been the Samsung Galaxy S USB driver which are also on this website. For some odd reason Samsung released two files instead of the usual one fits all. I guess they must have thought that a 25MB file would be better than a 50MB file with all the drivers in. The Samsung Galaxy S USB driver 32 bit and the Samsung Galaxy S USB driver 64bit are on this website as well. Note that the operating systems are different. The 64bit version is mainly Windows 7/8 while the 32 bit includes the Windows XP/7. There is also the Iomega shortcut, sorry but that is the only way to put it. The Samsung SFD-321U does not have a compatible driver however the older Iomega drivers make them work on your computer with a small work around. The Samsung Galaxy Prime USB drivers are the older drivers from when the phone was released. The newer version which was released in March 2016 might not work however the older drivers are still there and are good to go. The driver is the same as the generic Samsung USB driver on the website. The Samsung Android driver has also been updated this year. This has now been updated to version 1.5.59 which is the March 2016 release of the driver. 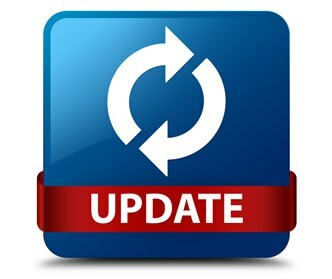 Note that the latest driver has now been uploaded being version 1.6.62.0 for the driver which was released this month in September 2016. There is also now a driver for the Samsung Galaxy S II phone. Thats about the Samsung roundup for 2016.